Abby Hanlon’s picturebook Ralph Tells A Story is about a young writer who is stuck and frustrated. He simply can’t think of anything to write. But, Daisy, who sits next to him, is full of ideas. As the story progresses, Ralph eventually discovers an idea for a story, and Daisy is right there next to him the whole time. She never jumps in and takes over his work, she shares her ideas with Ralph, she stays positive, and she cheers him on. Daisy is the ideal writing partner for Ralph. If only we could all have a reading or writing partner like Daisy to cheer us on, share ideas, and just simply be with us as we read and write. As Lucy Calkins says in the Guide to the Common Core Writing Workshop, “It’s a great thing in life to find someone who can help you with your writing.” (p. 48). In reading and writing workshop, strategic partnerships can help us provide an audience, built-in feedback provider, and peer-reviewer for every student in the classroom. While we (unfortunately) can’t clone ourselves and have a teacher next to every student, we can set up partnerships that support, motivate, and inspire. Partnerships are typically set up strategically by the teacher, taking into account student relationships, personalities, interests, and academic needs. Partnerships are typically two, or sometimes three, students who sit near each other and work together on a consistent basis. 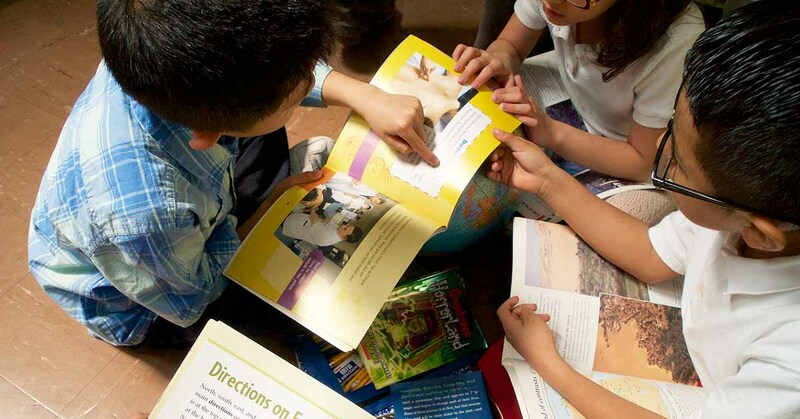 When students have the opportunity to work together with the same partner over time, the consistency and routine makes it possible for partners to learn how to support each other’s specific needs as readers and writers. Routines for managing writing spots and partner time that remain consistent from day to day so that the focus can be on meaningful reading and writing work. How to problem solve when things aren’t going so well. Deep listening, conversational skills, and empathy for their partner. Each Wednesday night at 7:30 pm EST the Teachers College Reading and Writing Project hosts a Twitter chat using the hashtag #TCRWP. Join hosts Cindy Williams @cwilliamsark, Shana Frazin @sfrazintcrwp, and Beth Hickey @bethahickey to chat about powering up partnerships in reading and writing workshop, for grades K-5. She can be found writing on Two Writing Teachers and on Twitter at @BethMooreSchool.